Silk Chassis' 100% pashmina scarves are the ultimate luxury: soft, warm and very fine. Sometimes referred to as pashminas or pashmina shawls, these unique scarves are handwoven from the superfine hairs - pashm - of the Changra goat, which inhabits the harsh reaches of Ladakh, in the Indian Himalayas. 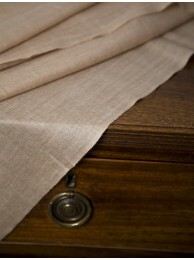 Our Apsara pashminas are named after the celestial flying figures of Buddhist art. 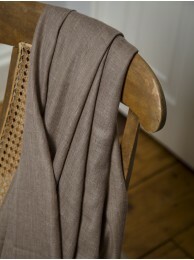 Each is a generous two-metres long but as light and soft to wear as ‘woven air’. That ancient verdict is as true today – once worn, pashmina is never forgotten.